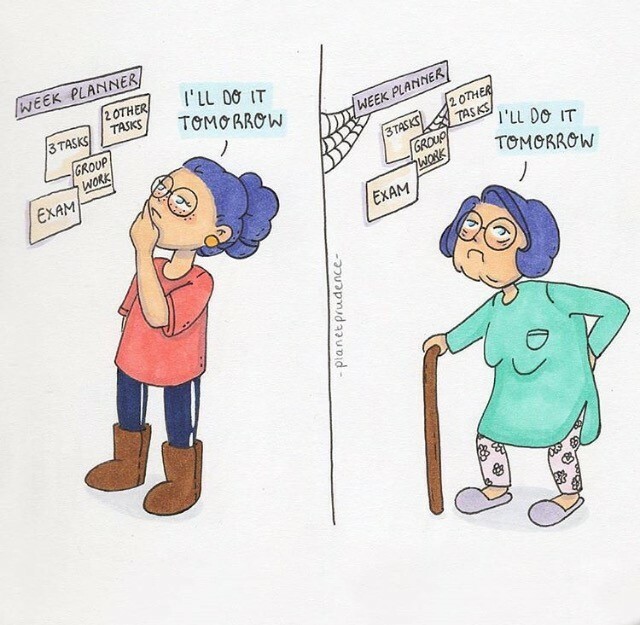 I'm not sure why, but I seem to have been born with a procrastination gene that prevents me from doing anything within a reasonable amount of time. I mean, why put off until tomorrow what you can put off until next week? I was always doing major reports in high school the night before and still wait until last minute for pretty much anything. 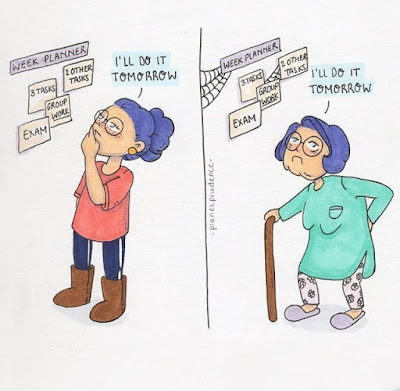 I wish I was more of a "get it done" girl. Especially this past week when I had the worst ingrown toenail of my life because, of course, I put off doing anything about it until I could barely walk. Thank goodness my husband seems to have a doctor gene that fixes me up in a pinch. If it wasn't for him, I don't know what I'd do. He went from my toe being so sensitive that he couldn't even touch it, to getting the nail out like a champ. He's a HERO. Sadly, he's also got the procrastination gene. Do you think our kids would have the opposite, or still be slackers like us? Oh, wait. We put that off too long too. Boo.